If you would like to become an Image Consultant and start your style career there are a number of different options available to you. As you probably already enjoy taking friends shopping, you could just set yourself up, print some business cards and say you are ready to go! But I can assure you that, eventually, sheer natural styling ability will not be enough! To become an Image Consultant you need to have an understanding of so many things in addition to clothes and fashion. We are working with complex details and feelings when we work with clients – especially when we are discussing their appearance and confidence. You therefore need to be empathic and a great listener, as well as a great practitioner to be successful in this field. 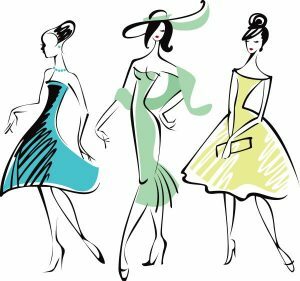 If you want to become an image consultant you also need professional training so that you understand why certain garments, colours, accessories and fabrics won’t be right or would be perfect for your client. This information needs to be “in the muscle” so that you can quickly and simply share &/or demonstrate these details. With some clients, appearance might only be one of the aspects that you need to consider because a person’s overall impact is also determined by their behaviour and ability to communicate effectively. We often refer to this as the ABC of image. To run a successful image consultancy business you also need some marketing training because even if you are the best consultant in the World if you don’t have any clients your business won’t last very long! Professional Certified Training. Ensure that your training covers industry standards and has been approved by outside professional bodies. Also check that your trainer(s) have relevant experience in the business. Empathy and listening skills, plus a genuine interest in people and finding a solution. Working with someone in their wardrobe is an honour and their feelings should be respected. Determination and an interest in continuing to learn. Running any small business takes guts and determination but the rewards are sooo worth it! In this industry styles and clothes are constantly changing and each new client will have different challenges. You therefore have to be able to move and adapt with these changes. …… And an interest in clothes is obviously advantageous as well! 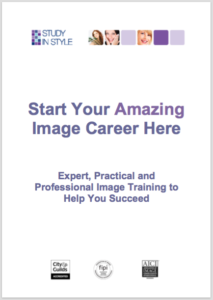 If you would like to learn more about how to become an Image Consultant book a Style Career Discovery Call with me and we can chat through your options.